Unique visual beauty that adds value to your home. Rammed Earth Homes are sculptural, monolithic and elegant. Externally they retain a visual and real connection with the earth from which they have been formed. Internal Rammed earth also produces distinctive qualities of purity of line, mass, form and timelessness. The characteristics of the visible compaction layers create variations of light and dark producing subtle changes in colour and reflectivity… in the sunlight the walls glow. Low Embodied Energy, using less energy to build and lasting for generations. No Painting or maintenance required. Humidity is controlled through the natural ability of the walls to absorb & release moisture vapour. Permanent energy savings with the natural energy efficient climate control. The thermal mass qualities of the walls store warmth in winter and keep your home cool in summer. There is a natural balancing out of the extreme external temperatures which can eliminate the need to install or run air conditioning. During the winter months heating costs are greatly reduced when the thermal properties of Rammed Earth walls are combined with good solar passive design. Heating is started later in the year (and in the day) and turned off earlier and required for shorter periods during winter. Rammed Earth dwellings have been constructed in a range of climates on a range of sites. It is suitable for commercial and domestic applications. Excellent soundproofing between rooms is achieved. Excellent acoustic properties, making it suitable for recording studios. 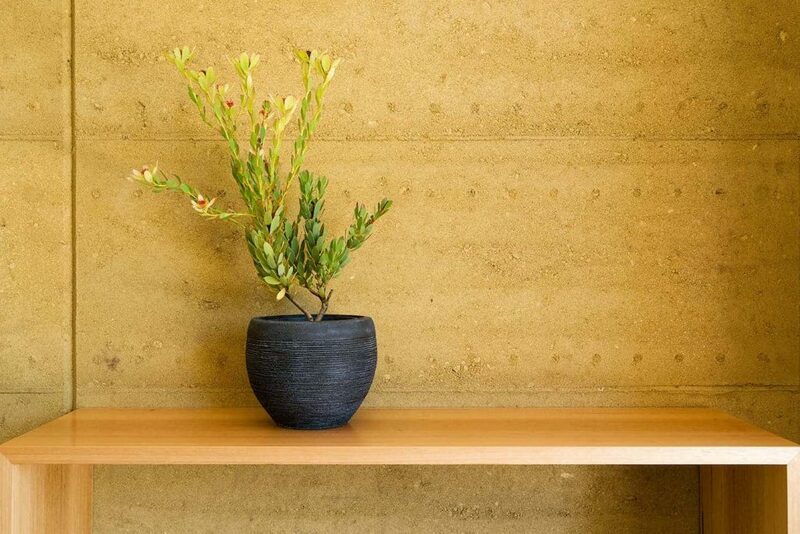 Rammed earth walls are loadbearing – supporting roof loads & eliminating timber & steel framework. Rammed Earth is a termite Resistant medium. 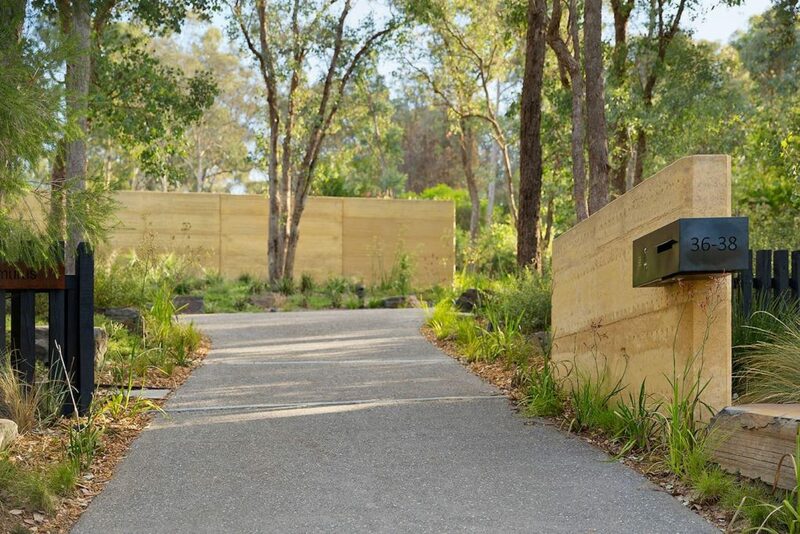 Rammed Earth is a recommended medium for bushfire prone areas. It meets flame zone requirements with a 4hr fire rating. Feature radiant heat shield walls.